Our best value! Complete MIT-E report includes latest MIT-E Core, MIT-E Edge and MIT-E Analytics reports. 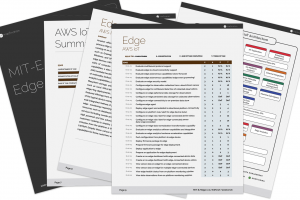 MIT-E Complete includes 3 reports: MIT-E Core, MIT-E Edge, and MIT-E Analytics. 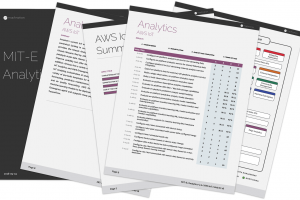 We offer a free sample of each report covering just one vendor, Amazon (AWS IoT). Enter your email to download the PDF. 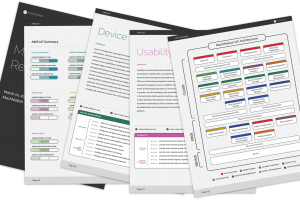 The results from MIT-E help enterprises compare IoT platform capabilities and usability. MachNation makes the results from MIT-E available to enterprises to help guide IoT platform purchase decisions. 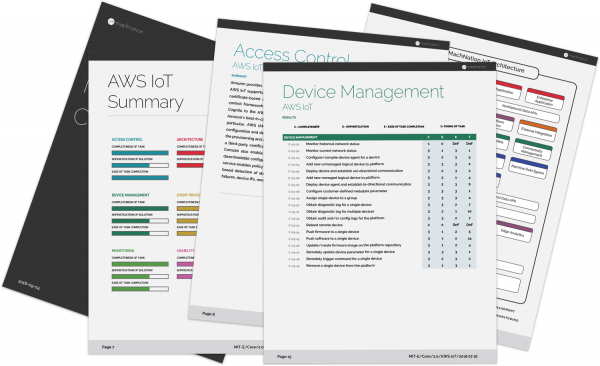 The results provide enterprises an apples-to-apples comparison of IoT platforms across relevant hands-on task metrics. Please contact MachNation for more information.